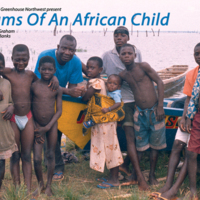 Dreams of an African Child is a one act play about the 21st century sale of children in the River Volta region of Ghana. It was written by Robin Graham, produced by The Ugly Tree and Greenhouse Northwest Theatre Company, and directed by Toria Banks. The drama centres on the reactions of a rural African family when their teenage son, missing presumed dead, returns home to his family after being sold eight years before. The play was first performed in Accra in 2004, and then in 2008 toured schools and community venues in the North of England and Wales. Workshops were held to discuss the issues of child trafficking raised by the play.